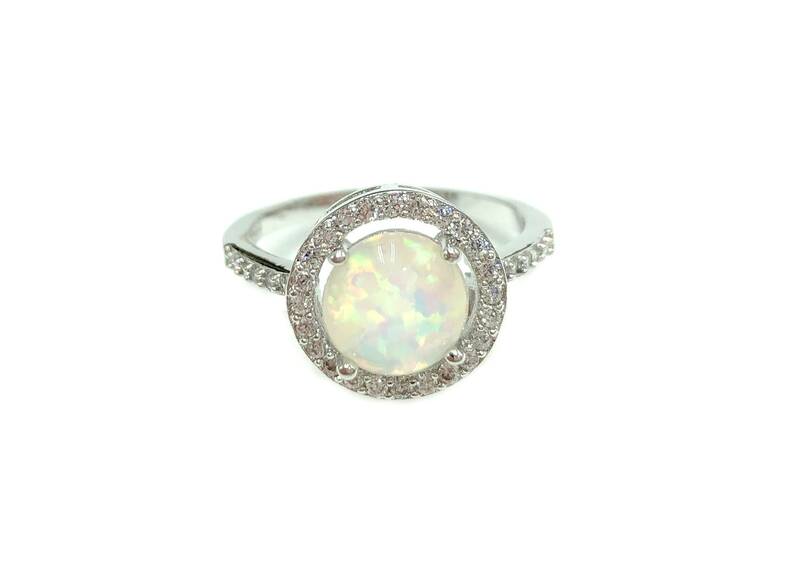 Manufactured opal ring. 925 silver plated over copper. Lead and nickel free. Cubic zirconia accents.